Handles (General guide only, file tang sizes vary by manufacturer) The file should ‘sit’ in the handle such that the base of the handle is snug/touching the shoulder of the file. This plastic handle has four inserts designed to hold all file shapes, 6” to 12” in length securely. 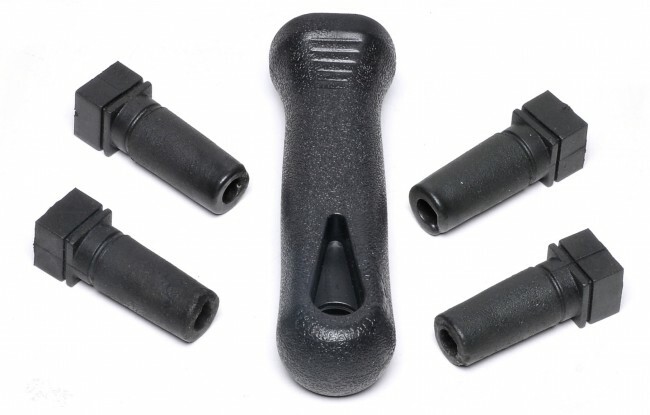 It is made of hard plastic and formed to reduce hand fatigue. This handle also has a hang hole for file storage. The reusable inserts are driven on and off with a hammer. For 12” files use the handle only with no inserts at all. © 2019 Warrensville File & Knife. All Rights Reserved.